This infrared view of the star formation region Messier 8, often called the Lagoon Nebula, was captured in January 2011 by the VISTA telescope at ESO's Paranal Observatory in Chile. English : This infrared view of the star formation region Messier 8, often called the Lagoon Nebula, was captured in January 2011 by the VISTA telescope at ESO's Paranal Observatory in Chile. English : Timelapse of a sunset at the Lookout Point in Algonquin Provincial Park, Ontario, Canada. Burrowing Owl (Athene cunicularia) near Goiânia, Goiás, Brazil. English : Burrowing Owl (Athene cunicularia) near Goiânia, Goiás, Brazil. English : The Finnish road ferry Merisilta arriving to the Riutunkari harbour in Oulu. English : Monks on their daily procession at Mahagandhayon Monastery, Amarapura, Mandalay, Myanmar. Portrait of Queen Mary I of England, by Antonis Mor, 1554. English : Portrait of Queen Mary I of England, by Antonis Mor, 1554. Night view of the Novospassky Monastery in Moscow, Russia. English : Night view of the Novospassky Monastery in Moscow, Russia. English : Bipedal robot called RunBot walking. English : Royal Kurgan, Kerch. English : Pink-footed geese (Anser brachyrhynchus) in the snow. Golden sculpture of Bhaisajyaguru, National Museum of Korea. Made in 8th century, in Unified Silla. English : Golden sculpture of Bhaisajyaguru, National Museum of Korea. Made in 8th century, in Unified Silla. The tumulus Tinghøjen located between Randers and Viborg in Denmark. Photographed January 8, 2010. English : The tumulus Tinghøjen located between Randers and Viborg in Denmark. Photographed January 8, 2010. Royal Crown of Silla (ca. 5th century), Gyeongju National Museum. English : Royal Crown of Silla (ca. 5th century), Gyeongju National Museum. English : Hedgehog drinking water in the back yard. Church of St. John at Kaneo, Ohrid, Macedonia. English : Church of St. John at Kaneo, Ohrid, Macedonia. The rood screen of Ripon Cathedral in North Yorkshire, England. English : The rood screen of Ripon Cathedral in North Yorkshire, England. Camels convoy in Jordan Rift Valley, West Bank. English : Camels convoy in Jordan Rift Valley, West Bank. English : Rally on the Place du Capitole in Toulouse to pay tribute to the journalists and policemen murdered that morning in the 2015 Charlie Hebdo shooting. January 7, 2015. Daughter of Niobe bent by terror of Artemis. Uffizi Gallery - Sala della Niobe. Florence, Italy. English : Daughter of Niobe bent by terror of Artemis. Uffizi Gallery - Sala della Niobe. Florence, Italy. English : The Golden Gate Bridge Moveable Median Barrier (MMB), also affectionately known as the "median zipper." The Golden Gate Bridge was closed to automobile traffic while the MMB was being tested. Goryeo Celadon, kettle designed like turtle, National Museum of Korea. 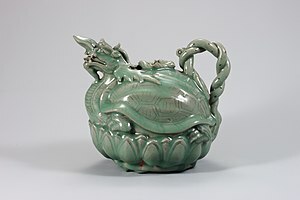 English : Goryeo Celadon, kettle designed like turtle, National Museum of Korea. 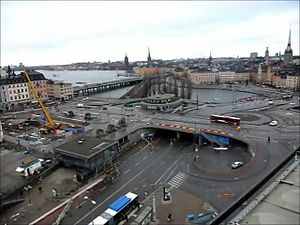 English : Slussen is a traffic junction and hub for public transport in Stockholm built in 1935. Gilt-bronze statue of Maitreya seated in meditation of Silla period. Stored in National Museum of Korea. English : Gilt-bronze statue of Maitreya seated in meditation of Silla period. Stored in National Museum of Korea. English : Video showing the characteristic quivering abdomen caused by movement of tadpoles within a pregnant female Limnonectes larvaepartus. The Painted Cliffs, in the Maria Island National Park, Maria Island, Tasmania, Australia. English : The Painted Cliffs, in the Maria Island National Park, Maria Island, Tasmania, Australia. 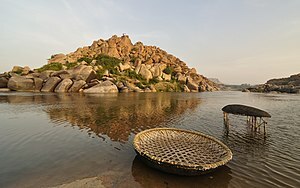 English : Woman grinding rice in a Dhenki. This video was shot in Killa, Sergarh in Baleswar (Balasore) district of Odisha. A Pinus halepensis (Aleppo Pine) and the view from the Mount Saint-Clair in Sète, France. English : A Pinus halepensis (Aleppo Pine) and the view from the Mount Saint-Clair in Sète, France. English : "I Didn't Raise My Boy to Be a Soldier" is an American anti-war song that was influential within the pacifist movement that existed in the United States before it entered World War I.
English : Time-lapse of a burning feuerzangenbowle. The video shows melting sugar dripping into the bowl of red wine. The island Helgeandsholmen in central Stockholm. Helgeandsholmen contains the Riksdag Building, the seat of the parliament of Sweden. English : The island Helgeandsholmen in central Stockholm. Helgeandsholmen contains the Riksdag Building, the seat of the parliament of Sweden. The Centre Block, Canadian Parliament building, with the Peace Tower in front, Ottawa, Southern Ontario. English : The Centre Block, Canadian Parliament building, with the Peace Tower in front, Ottawa, Southern Ontario. English : Happy Birthday song in German and English. Big Ben at sunset with light trails on Westminster Bridge, London. English : Big Ben at sunset with light trails on Westminster Bridge, London. English : Freedom Monument, Riga, Latvia. English : Ostrog monastery in Montenegro. English : The 1915 The McKee Trio recording of the Carrie Jacobs-Bond song A Perfect Day. Warrior on Horseback, Macedonia Square, Skopje, Republic of Macedonia. English : Warrior on Horseback, Macedonia Square, Skopje, Republic of Macedonia. English : New Zealand Yellow-eyed Penguins (Megadyptes antipodes) in Curio Bay. Church of the Holy Apostles Peter and Paul, Novi Pazar, Serbia. English : Church of the Holy Apostles Peter and Paul, Novi Pazar, Serbia. Four-segment panorama of Lower Manhattan, New York City, as viewed from Exchange Place, Jersey City, New Jersey. English : Four-segment panorama of Lower Manhattan, New York City, as viewed from Exchange Place, Jersey City, New Jersey. English : Flowers of a suncup (Oenothera glazioviana) open in under a minute.